Quebec Premier François Legault says he's "disappointed" by Doug Ford's decision to eliminate the province's French-language watchdog and plans for a new francophone university as part of cost-cutting measures. 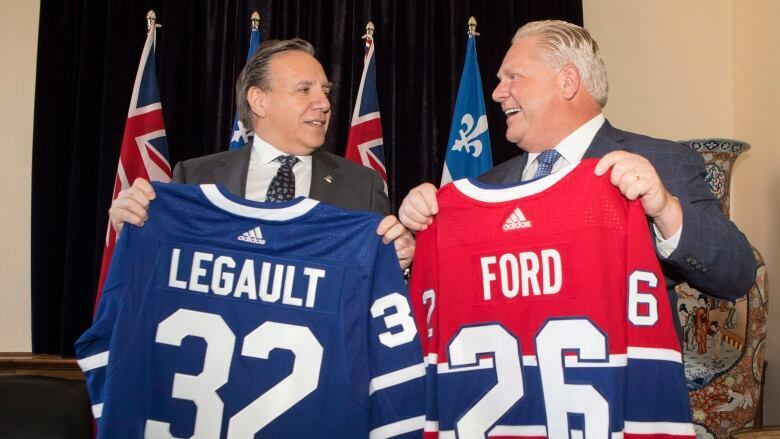 Quebec Premier François Legault says he's "disappointed" by Doug Ford's decision to cut services to Ontario's French-speaking population. Ford's government announced last week it would abolish Ontario's Office of the French Language Services Commissioner and scrap plans for a new francophone university in a bid to cut costs. "I have asked him to reconsider the decisions," Legault said Monday following the meeting. 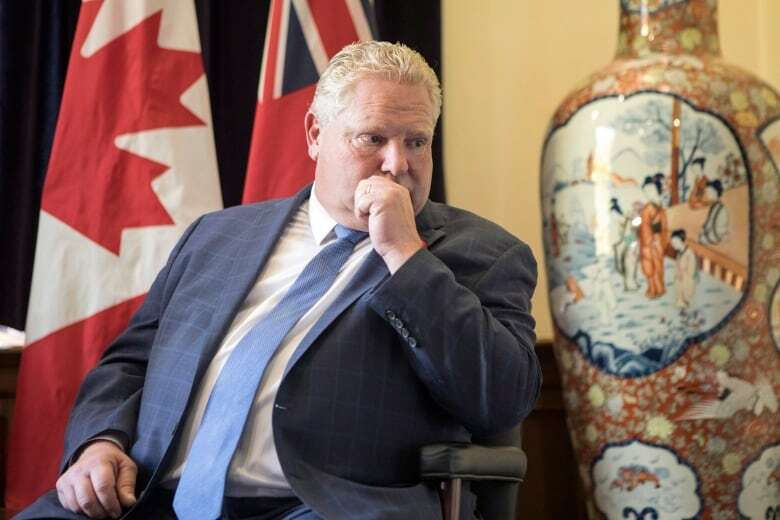 At a separate news conference later in the afternoon, Ford indicated he has no plans to back down, saying the previous Liberal government left Ontario saddled with a deficit that made such moves unavoidable. He stressed, as well, that the province's existing universities offer programs in French. The two premiers met Monday at Queen's Park in Toronto. 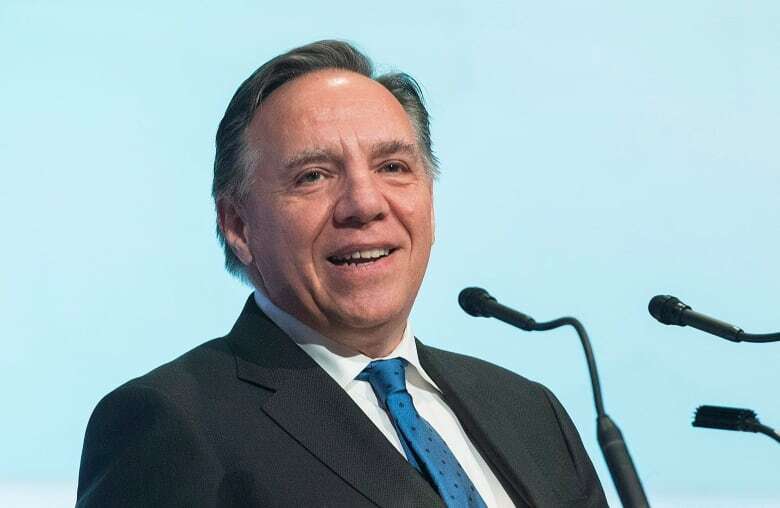 Interprovincial trade and Legault's hopes to sell hydroelectric power to Ontario were on the agenda, but those issues were overshadowed by the growing controversy over French-language rights. The cuts have been criticized by Prime Minister Justin Trudeau and a number of politicians in Quebec, where the preservation of the French language remains a hot-button issue. Trudeau said Sunday at the Asia-Pacific Economic Cooperation Summit in Papua New Guinea, that he was "deeply disappointed." "The protection of official language minorities, the French language, French communities across our country is something that is extremely important to me and to my government," Trudeau said. Montreal Mayor Valérie Plante took to Twitter a day earlier to voice her own concerns. "When I studied in North Bay in Northern Ontario many years ago, I discovered a strong and vibrant Franco-Ontarian community," Plante wrote. "Services in French are essential to ensure respect and dignity for all Ontarians." Conservative Leader Andrew Scheer, meanwhile, said he has "expressed his concerns" to Ford. Plans for the new university were announced in July 2017 by the province's previous provincial government. The language office designed to serve as a watchdog and ensure Ontario's more than 600,000 francophones are able to access services and support in French. The language office's work will be folded into the Ontario ombudsman's office, Ford's government said. Ronald Caza, an Ottawa lawyer and advocate for francophone rights in the province, said prior to the meeting he is hopeful Legault will be able to show Ford "how linguistic minorities need their institutions to survive." Caza said cancelling the planned university sends the wrong message to young francophone Ontarians hoping to preserve their language. "We already had high school kids from across the province getting ready to go there and then boom, the decision is made," he told CBC Montreal's Daybreak. Geoffrey Chambers, president of the Quebec Community Groups Network, which represents English-language groups in the province, said there are important parallels between the struggles of Quebec anglophones and those of francophones in Ontario. Both require institutional support to ensure their communities can thrive, he said. Chambers had a simple message for Ford's government: "reverse these cuts."